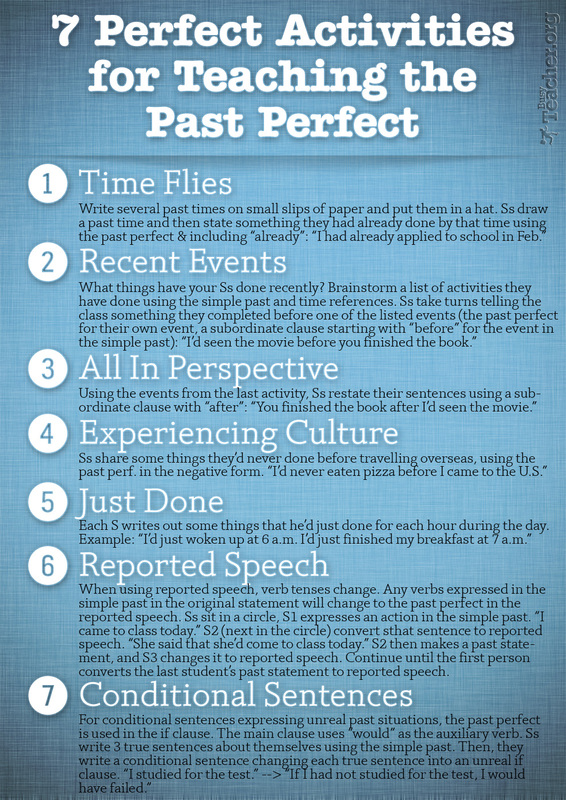 Here's one more reference poster from our new 'Grammar' series, this time it's about the Past Perfect tense. You'll love these activities when the time comes to practice or review this tense with your class. Click the image to view the full-size HI-RES poster for printing. If you think these Past Perfect activities are as perfect as this tense is, please share the link on Facebook, tweet about this poster, pin it onto your Pinterest board, or mention it in an email to your fellow teachers! Happy teaching!